I just realised how hard live it is without my laptop around. It was stolen last July I need to bare with it until now (psst couldn't afford a new one up until now). Trying to sort up everything up especially when all those back up things (external hard drive and MMC) were gone with it too and I'm becoming such a bad blogger who haven't been update my blog for more than four months. Anyway, this post already sitting on my draft for around 4 months and finally have time to actually post it. 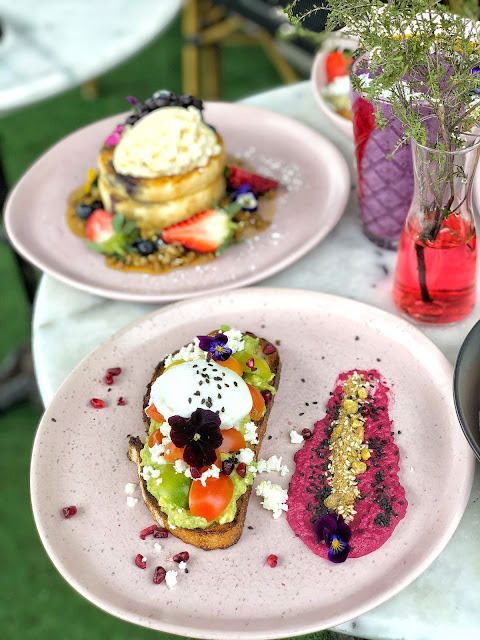 I went to beautiful cafe located on the corner of Tuffy Avenue and Fontainebleau street, this small local cafe is dominated with black and white colours have been in the business for around 7 years (how come I did not know about that). There is bus stop right in front of the cafe so for those who don't drive it's pretty easy to reach the place. I've been noticing this cafe for some time from my fellow Sydney foodies friends and I realized that this cafe has some colorful all day breakfast menus. With all these beautiful and tasty dishes, this place easily become one of my favourite place now. 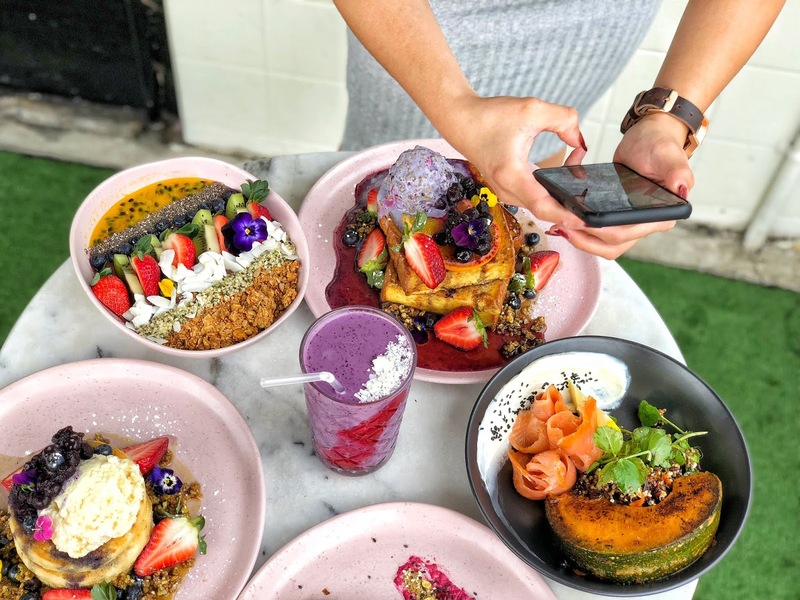 You might want to start your day with their delicious breakfast bowl. 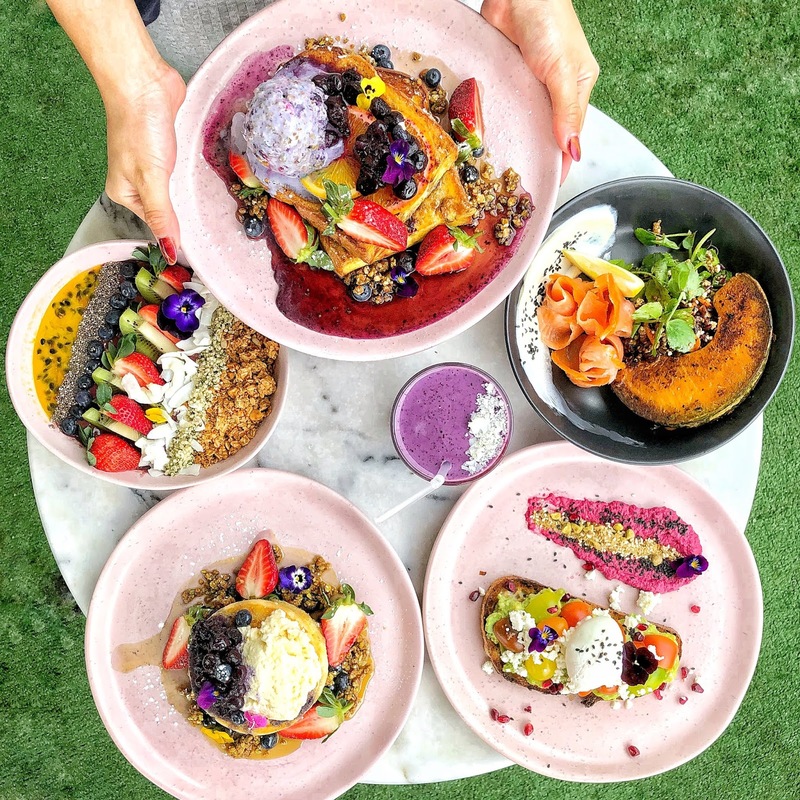 It's not only healthy but also pretty at the same time. 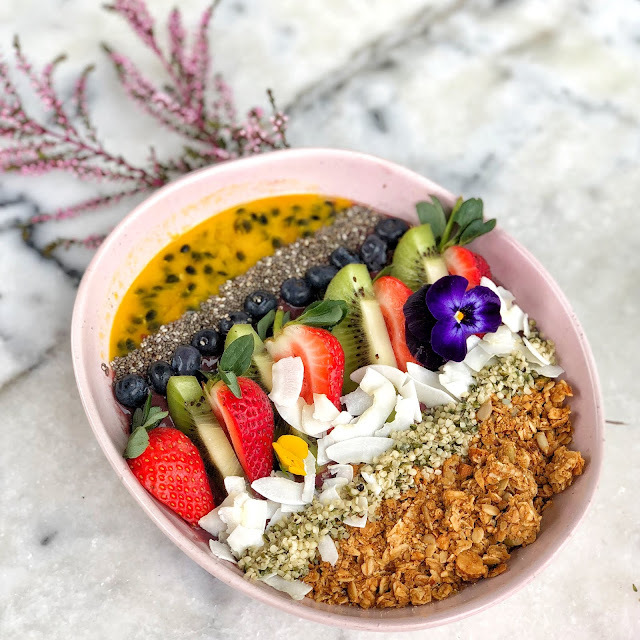 You want to feed your tummy and soul with this super fresh breakfast bowl with fresh sliced fruit, shredded coconut, granola and chia seed. What a lovely dish. 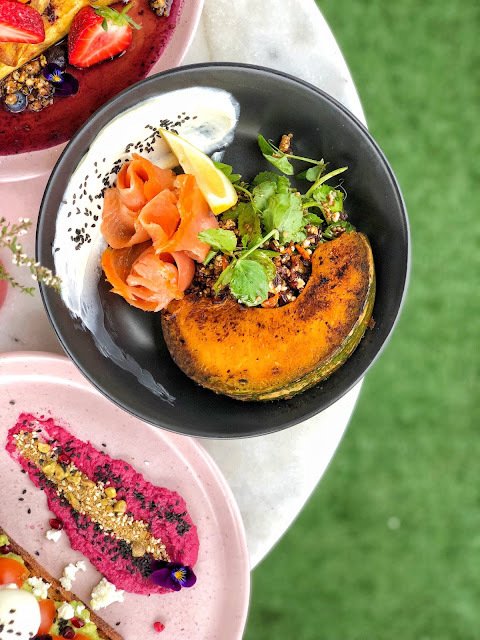 Nothing goes wrong if you order this pretty smash, unlike your normal smashed avo, this dish has yummy beetroot hummus on the side and it makes all the flavours complete. Perfect poached egg, yummy smashed avocado, sliced tomatoes and feta cheese. 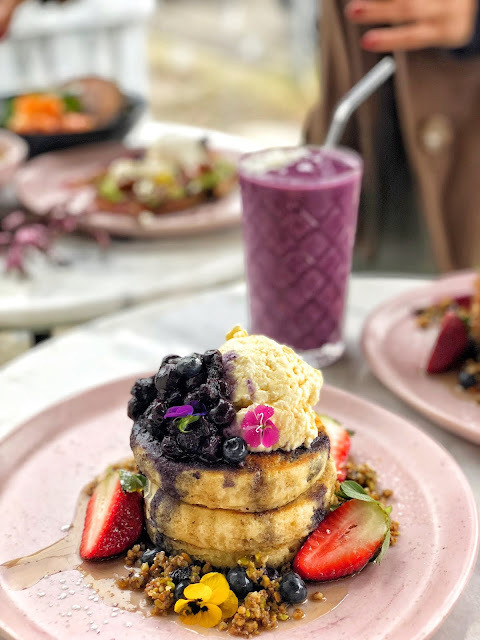 A beautiful pancakes stack with berry compote, Canadian maple syrup and Vanilla cream. This pancake was really fluffy, delightful and as you can see too beautiful to be eaten. What a perfect dessert to end your brunch with. Need another dessert option? 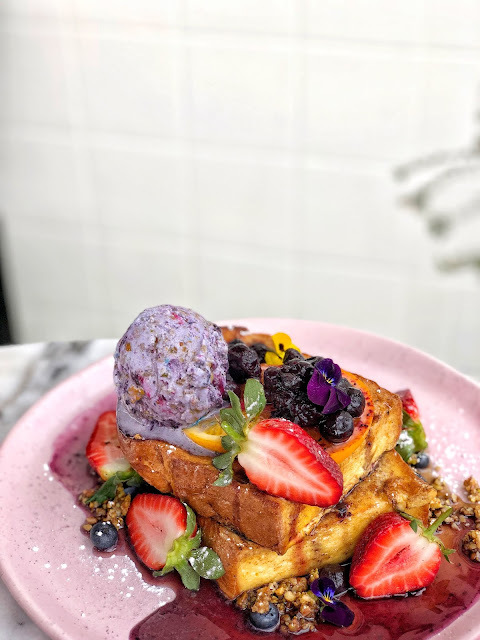 you can also order this one, two brioche toasts with bunch of sliced fresh fruit, blueberry compote, Canadian maple syrup. It a win-win solution for this summer heat dessert. Really can't wait to go back to Bella Dee for another feast it was absolutely 5 out of 5 star rating from me.